Expecting a refund from the tax man this year, but still no sign of a check in your mailbox? There’s a quick and easy way to check with the Internal Revenue Service about the status of your tax refund, including when it’ll arrive in the mail or dropped into your checking account. Just plug in your Social Security number, your tax filing status, and the exact amount of your expected IRS refund to get the status of your check. Just visit the Get Refund Status page on the IRS.gov website to get started. You’ll need three bits of information: your Social Security number, your filing status (single, married and filing jointly, married but filing separately, etc.) and the exact amount of the refund you’re expecting. Note: When you enter the amount of your refund, make sure to enter only how much you’re expecting to get back in your check; don’t include any portion of the refund that you’ve asked the IRS to apply to next year’s taxes. Plug in your information, click the “Submit” button, and almost instantly you’ll get details on your refund; in my case, I learned that the IRS will drop my check in the mail on April 7. Good to know. 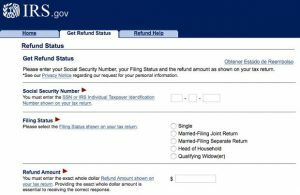 What if the IRS website wasn’t able to find your refund? 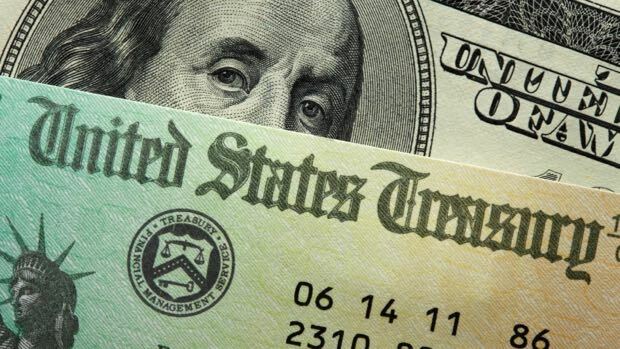 Most likely, your tax return simply hasn’t been processed yet. As the IRS.gov refund help page notes, it takes about 72 hours for electronically-filed returns to show up in the Refund Status system. Did you file a paper return? If so, you’ll have to bide your time for a good three or four weeks. Wondering about your state refund? Most states will let you check the status of your refund online, similar to the IRS. Try Googling the “[name of state] check tax refund status” to see if your state has an online refund status checker.